The Portwest FT15 combines a modern trainer style with classic safety protection. 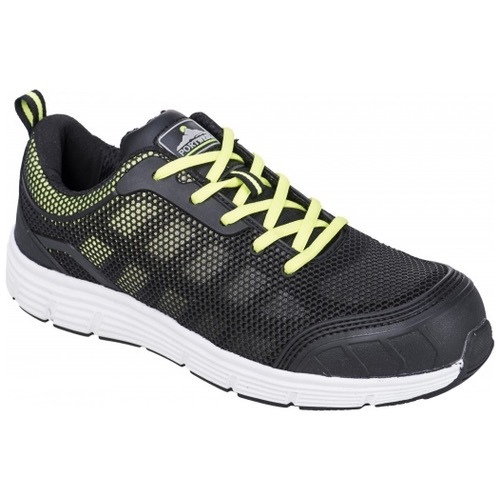 The TPU moulded upper with mesh backing offers excellent breathability and comfort. Dual density EVA/rubber outsole for a lightweight and long lasting trainer that won't let you down. Superb comfort footbed with steel toecap and steel midsole.